“O Sister, Where Art Thou?” – When Becky helps Harris keep a secret from Darlene, it opens up a can of worms that causes a rift between the two sisters. 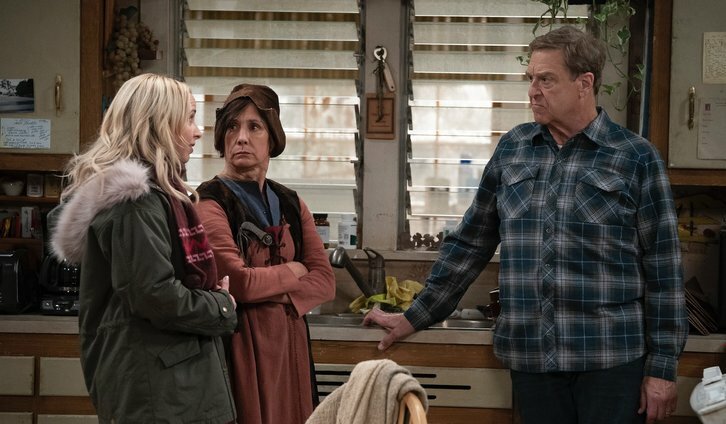 Jackie supports Peter with his Nordic history project, and Dan reunites with an old friend, on an all-new episode of “The Conners,” TUESDAY, DEC. 11 (8:00-8:31 p.m. EST), on The ABC Television Network, streaming and on demand. Katey Sagal, Jay R. Ferguson and Matthew Broderick guest star. Guest stars include Jay R. Ferguson as Ben, Matthew Broderick as Peter, Katey Sagal as Louise, Paul Bates as Officer Whitcomb and Blaise Miller as Young Man. “O Sister, Where Art Thou?” was written by Sid Youngers and directed by Rebecca Asher.